If you want to easily transform the look of your truck, look no further than Rough Country`s 2-inch / 2-inch Lowering Kit for 04-08 Ford F150 pickups. Our easy-to-install Lowering Kit is a total transformation, offering a sleek, modern look that keeps heads turning! A set of sturdy Driver and Passenger 2-inch Drop Spindles offer plenty of drop while helping maintain a factory-like ride. Also included are a set of rear lowering shackles with your choice of rear Premium N.20 or Performance 2.2 shock absorbers. 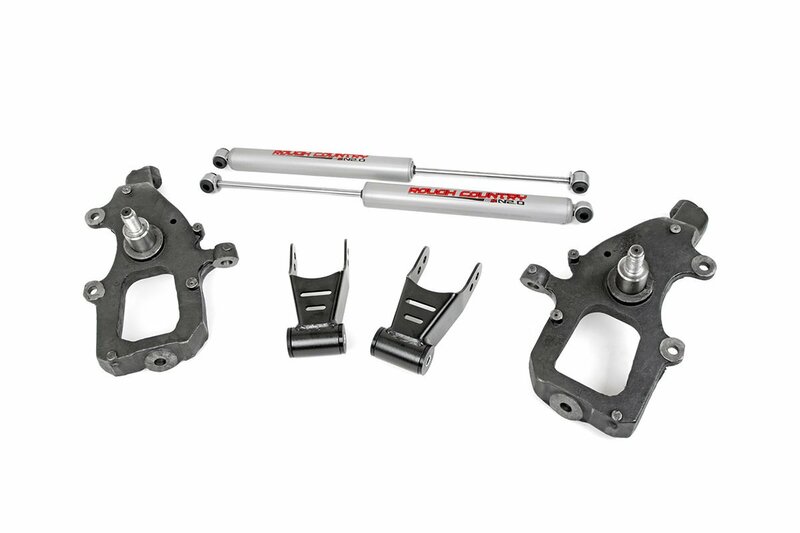 All together, this kit drops the ride height of your F150 by 2-inches in the front and rear, offering a sleek-looking drop while keeping other crucial components in line. Best of all, this easy-to-install lowering kit features a simple, 100% bolt-on installation process.